The beautifully constructed Lauro table is coloured here in a white and light green named Edelweiss. 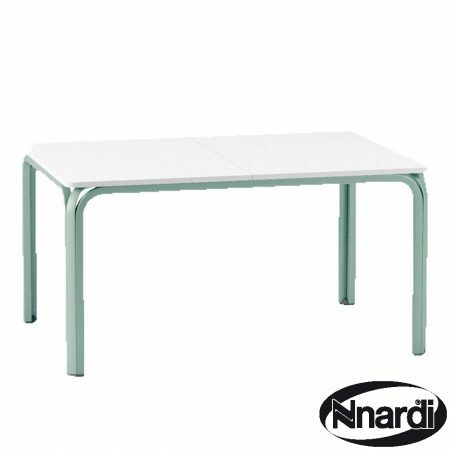 The table is reinforced in aluminium and accommodates comfortable the 6 Gemma chairs which match the tables colour and sport comfy textilene. 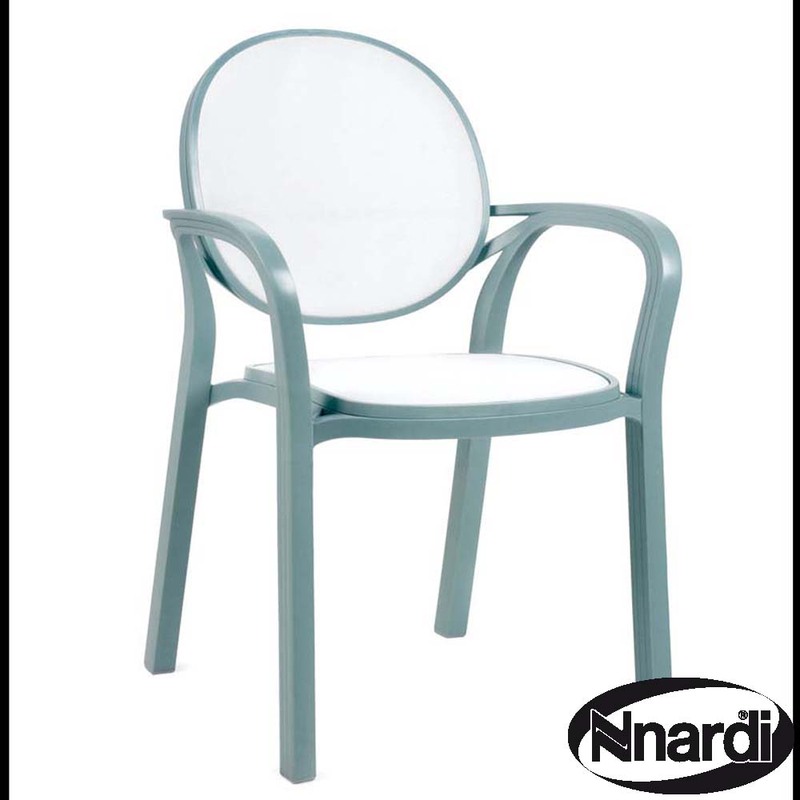 The chairs also stack and are very sturdy. 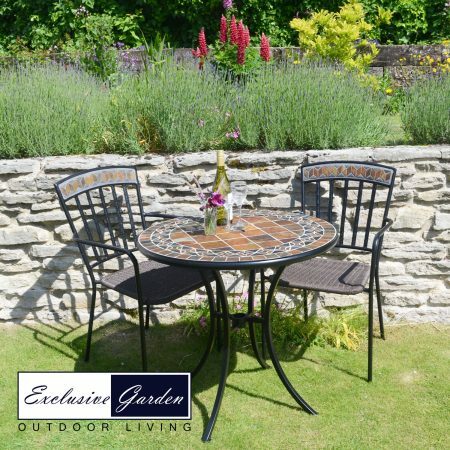 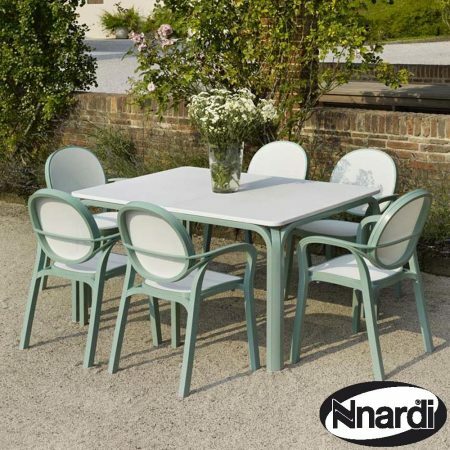 The Lauro table has a totally sealed hard wearing Durel top, this is supported on “Edelwiss” coloured aluminium legs and frame, the Gemma chair is the perfect match in style and colour. 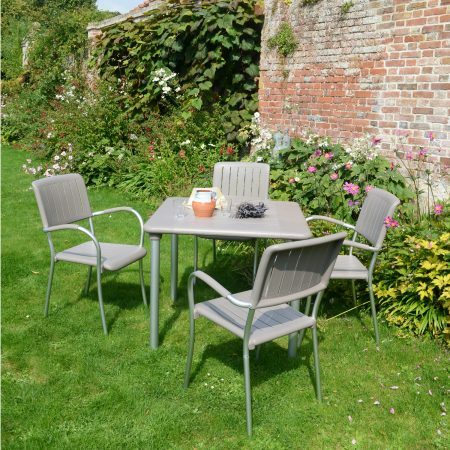 A very stylish stackable resin chair with breathable synthetic fabric that is PVC coated, the Gemma chair looks great around the matching Lauro table. The table is 140 x 100cm please note this model of the Lauro table does NOT extend.